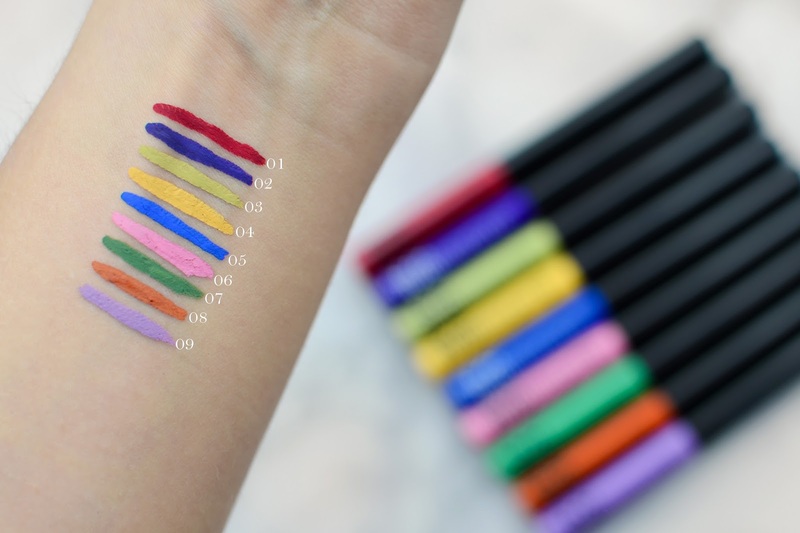 Because why should we stick with only black eyeliners? When we were at the NYX store, these eyeliners caught my eye instantly. I was in front of that stand for a couple of minutes, trying to decide which one to get, because I really wanted to get all of them, but I still had a budget to stick to. So you can imagine my excitement when I found all of these shades in my goody bag. The things I don't like so far - first of all, the stiff feeling when the eyeliner dries. In a way it feels like you have applied false lashes, but you do get used to the feeling (well I did, sort of). Secondly you have to practice a bit with the application. Even though the applicator is precise and really good, because the eyeliner is quite watery, it's very easy to get it on your lashes. And once that happens it's a little struggle to get it off because it dries very quickly. From all of them so far my favorite are 01 Vivid Fire & 05 Vivid Sapphire. 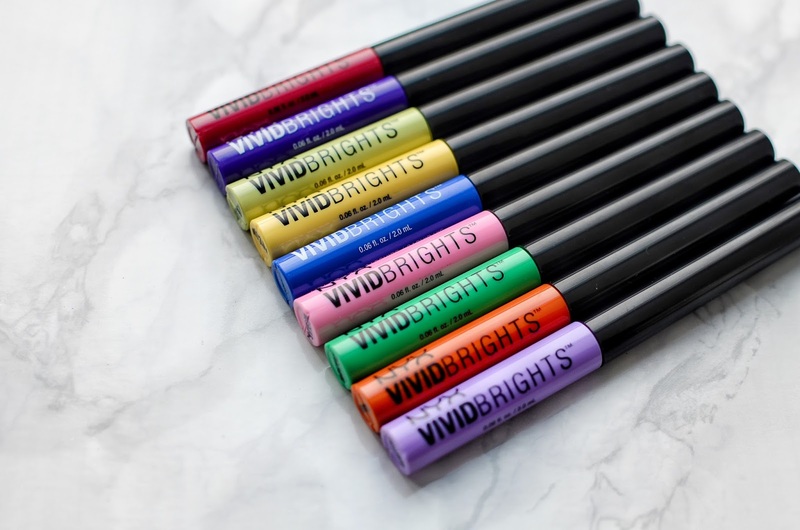 They look amazing as basic eyeliners without any eye shadows and I had no problems applying them. It's a little bit different story with the brighter shades. So far it looks like there are no problems with the darker shades, but the light ones can't really deliver the best results. 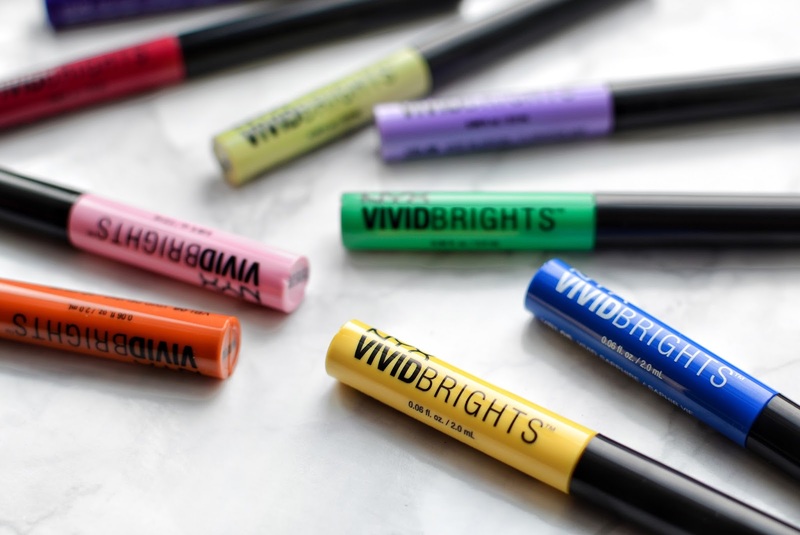 When I tried 06 Vivid Petal and the other brighter shades, they turned out a little messy, because when trying to build them up and make them less patchy, they broke up all over the lash line and wing. They look great from farther away, but not so great up close. I will definitely try them more, but if they will behave the same - I will have to use them only for dotting away on my face or I will need to figure out another way where to use them. 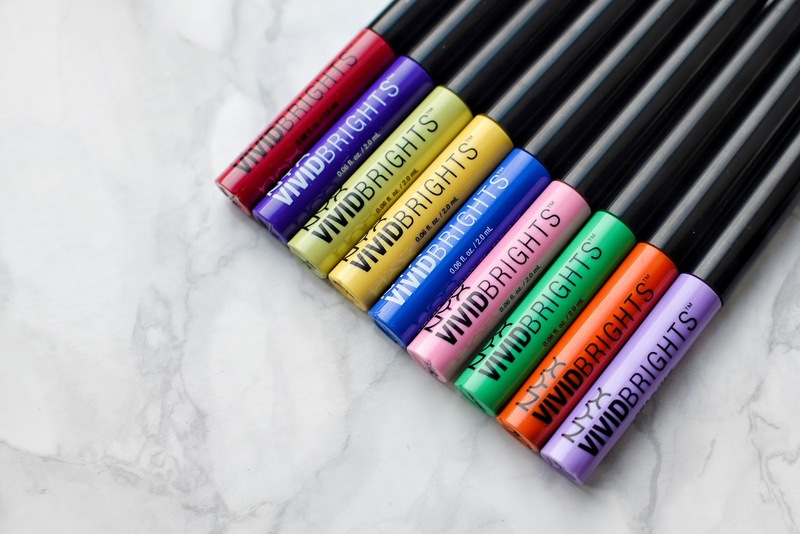 3 comments on "NYX PROFESSIONAL MAKEUP | VIVID BRIGHTS"
That vivid violet looks damn fine! Can't wait to see with what you come up with, when using these!